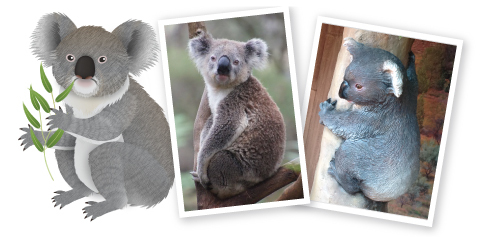 “Adventures in Australia”, the first attraction themed on South Australian Outback, offers visitors a visual and full sensory encounter with the iconic animals from Australia – koalas, wallabies, and kookaburras. We have designed and produced two sets of trilingual interactive games for the Attraction – LOHAS Games and Biodiversity Games. The game presents 9 iconic animals in South Australia. These following sections present the Biodiversity Games we’ve created, which unfolds the natural landscapes and rich biodiversity of South Australia. Through playing the games, the players will learn more about the natural habitat the animals are living in, the threats they are facing, and how humans could help by conserving and protecting the environment. 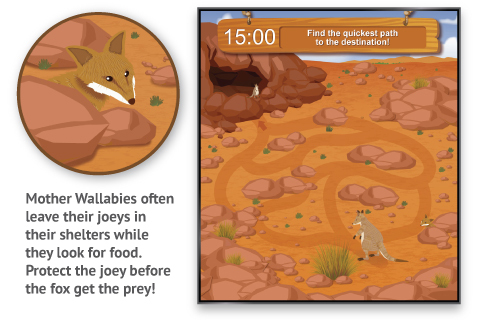 To introduce the rich biodiversity and dynamic ecosystems in South Australia, the interactive games are designed to have players role-played as a backpacker travelling around South Australia to learn about the native marsupials and endangered species. The biggest challenge in designing the game is to make the conservation and animal messages relevant to the players and turn them into different interesting and engaging games. 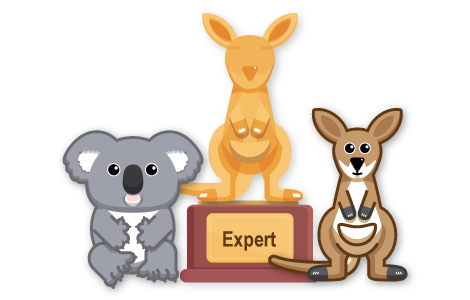 We’ve created and produced an interactive game for each of the four major habitat zones in South Australia. Each game depicts the animals and the landscape of their habitats, players can gradually understand the threats to the animals and how the human can live in harmony with them through playing the games. The games operate on a computer connected with a 55” TV and use two iPads as game controller to achieve better multi-touch gestures and interactions in the games. To allow two players to enjoy the adventurous journey together, which also fulfills the operational needs of Ocean Park, two iPads are installed to share and control the left/right half of the TV screen. Ocean Park requests high standard in having the features of the animals and their habitats carefully and accurately illustrated. We’ve worked very closely with Ocean Park and their animal experts to depict the animals and the landscapes in a way that is realistic yet appealing enough to play with. Given the limitations (e.g. space, facility) in displaying information in the Attraction, the games offer the players more in-depth knowledge about the animals in South Australia. 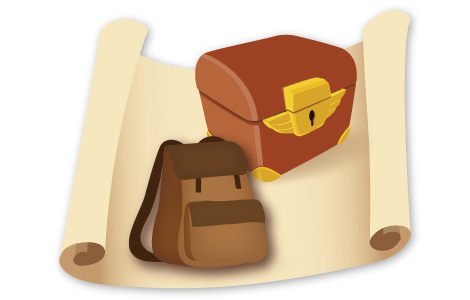 Players gradually understand the conservation messages through the fun and interesting experience in the games, and thus they can better recall the information afterwards. 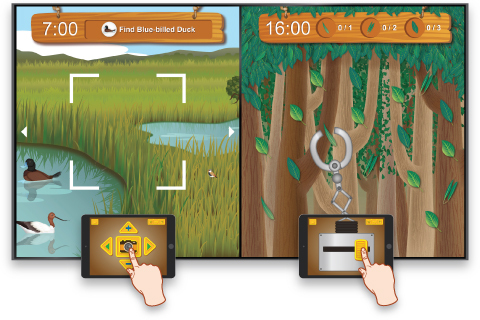 The “Backpacker’s Adventure” themed games turn the conservation and animal messages into an engaging and fun journey. Two iPads are configured and installed to control the games, which is a fairly new technology and allows more interaction between players and better gaming experience. Plentiful of content and four different types of game play make the whole gaming experience interesting and exciting.